We all love a good bargain. And, Pixi Beauty has a number of them for all us beauty addicts. 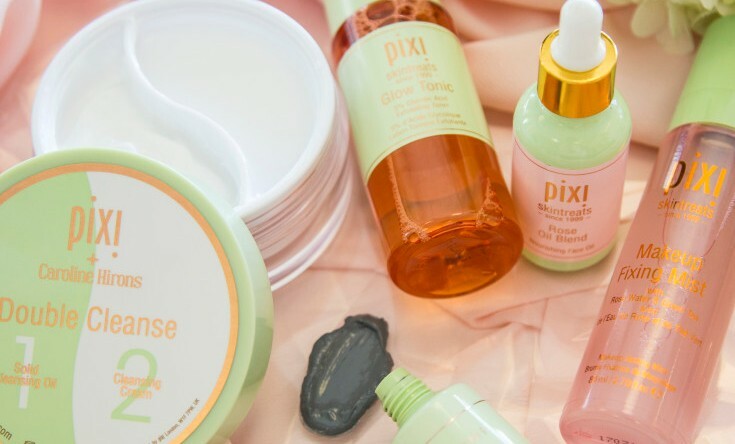 From top of the line skin care products to some amazingly pigmented makeup items, Pixi is one brand that has grabbed headlines for all the right reasons. Be it their collaboration with top beauty bloggers to create products that stun everyone or be it their own collections reaching cult status, the brand is impressive at all fronts. We all know the idea behind double cleansing now – the first cleanse to remove makeup and the second cleanse to nourish skin. What we struggle to find is a pair of cleansers that work well together and are readily available without breaking the bank. Enter the skincare guru, Caroline Hirons and her collaboration with Pixi that hit the shelves last year. Yes, it took only a year for the product to reach cult status and deservedly so. 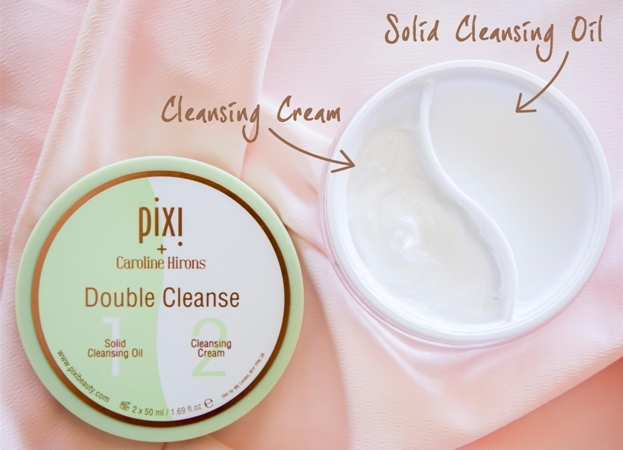 Pixi Double Cleanse features two cleansers in one jar. One, a solid cleansing oil to destroy all makeup, SPF and dirt on your face and second, a luxe cleansing cream to inject back all the lost nutrients. This little jar not only works extremely well as a pair for almost all skin types but also removes the pain of carrying and storing two cleansers at a time. Both the cleansers are solid enough to prevent leakage during travel too. There are no parabens, mineral oils, shea butter, fragrance or any other animal by-products making it perfectly suitable for all skin types. Trust us, it couldn’t get any better. Acid toners have changed the way people view toners completely. They are no more an optional step to end your skincare regimen but an essential step to be followed after every cleanse. The deal with acid toners is that they can be quite harsh for most skin types since they exfoliate the skin and make it a bit more sensitive, especially if the product isn’t formulated with the right kind of ingredients mix. This main problem is what sets Pixi Glow Tonic apart from most of its competitors. It’s GENTLE yet EFFECTIVE. It has 5% glycolic acid to exfoliate and purify the skin along with ingredients like aloe vera and ginseng to soothe and hydrate. And, it is alcohol-free! 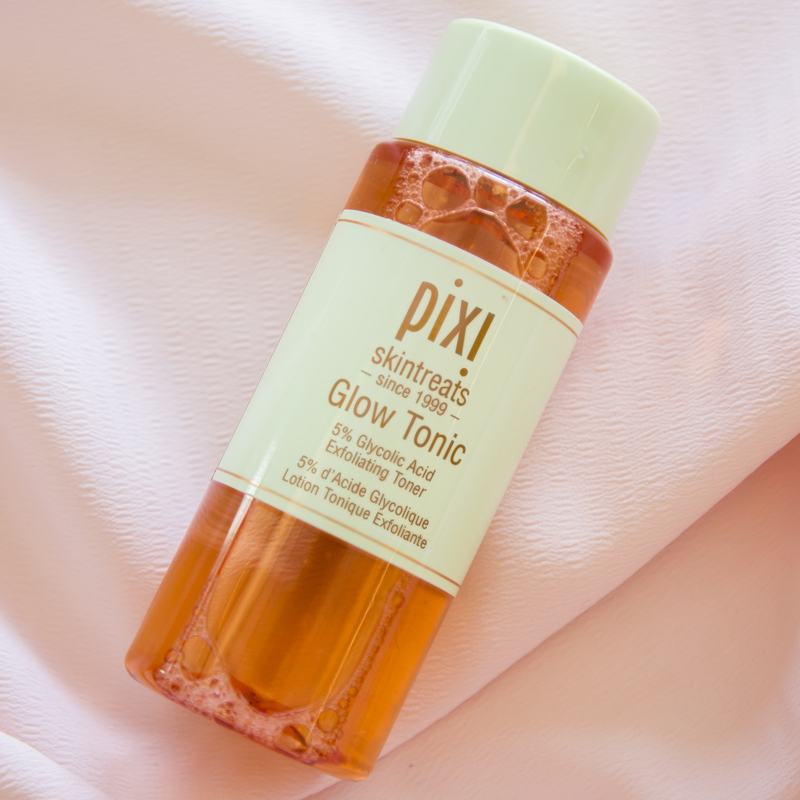 Since Pixi Glow Tonic was such a wildly popular product, the brand decided to make it travel friendly for all of us. 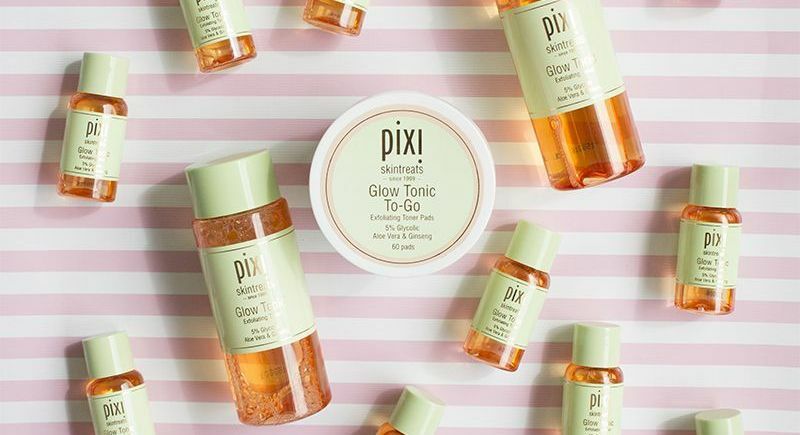 These Pixi Glow Tonic To-Go Pads have all the exfoliating, brightening goodness soaked up in 60 pads, making it easy for you to glow on the go. The pads are nicely soaked and have enough product for you to swipe it over your face, neck and décolleté. Taking exfoliation a step further, Pixi also has an award-winning serum that helps exfoliate skin and reveal brighter complexion over night. 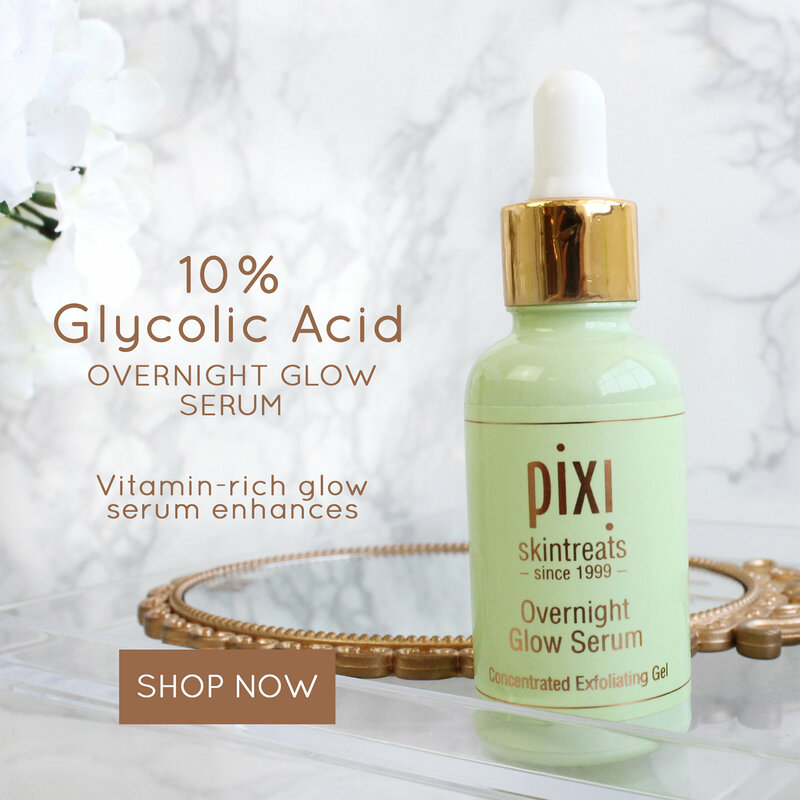 While you get your beauty sleep, let Pixi Overnight Glow Serum do the work! With a higher concentration of Glycolic Acid (10%) and ingredients like arginine, cucumber and aloe vera extracts, the Overnight Glow Serum helps to reduce the appearance of fine lines and fade sun spots over time. Matte lips are still all the rage and the trend shows no sign of going away. But what makes matte lips difficult to pull off, is the dryness of the products used. The matte liquid lipsticks usually are so drying that instead of looking flattering, all the fine lines on the lips look more accentuated. 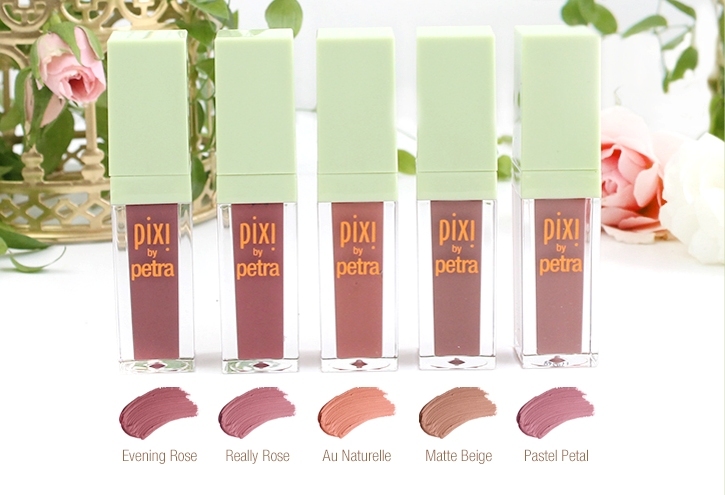 This is why Pixi MatteLast Liquid Lip colours are so popular – they are hydrating, comfortable and last quite a while. Available in 5 universally flattering shades, they are formulated with rosehip oil to make them so easy to apply and so hydrating to wear. The colors are all beautiful shades of nudes and more and are must haves for all ages – Really Rose, Au Naturelle, Prettiest Pink and Matte Beige. There are a tonne of products available on the market to help last your makeup longer, to help refresh it on the go and to keep skin hydrated. The deal with all of them is that they are either effective or very expensive. Pixi solved both our problems with their range of mists – that are extremely effective and extremely affordable. 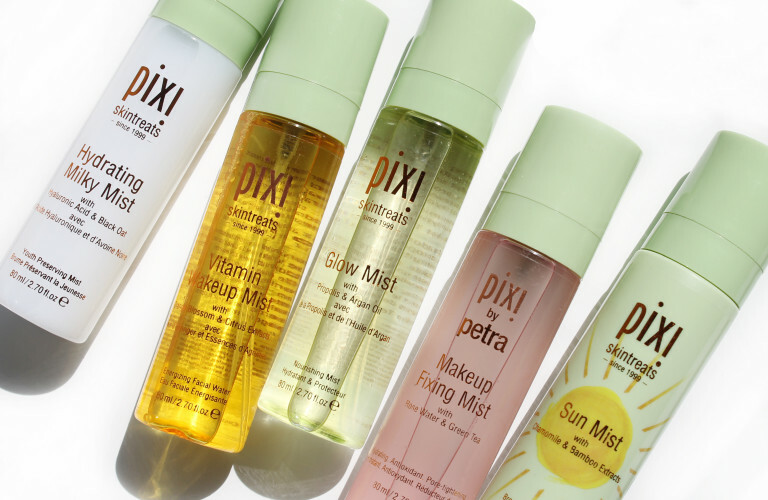 Pixi – Vitamin Wakeup Mist : Boosting Treatment Toner mist gives a revitalized awakened effect to complexion with an orange blossom water base, blended with skin-loving citrus fruit extracts, lavender, and arginin. Pixi – Hydrating Milky Mist : A deeply hydrating mist that provides an invisible layer of skin-soothers, making it the ultimate remedy for dry skin with hyaluronic acid and a blend of black oat, provitamin A, and linoleic acid. Pixi – Glow Mist : All-over glow mist for a radiant, dewy effect. Gives a glowing, luminous & smooth complexion with the help of 13 natural oils plus propolis, aloe vera and fruit extracts. Pixi – Makeup Fixing Mist : All-over setting mist formulated with rose water and green tea comforts for longer-wearing makeup. Prolongs makeup wear & keeps it from moving, melting, and settling into fine lines or pores. If you are a regular reader of our blog, you must know we love all things glittery. Add to it the fact that sparkling eye shadows are a major trend since last year, we are always looking for new shimmery goodness. 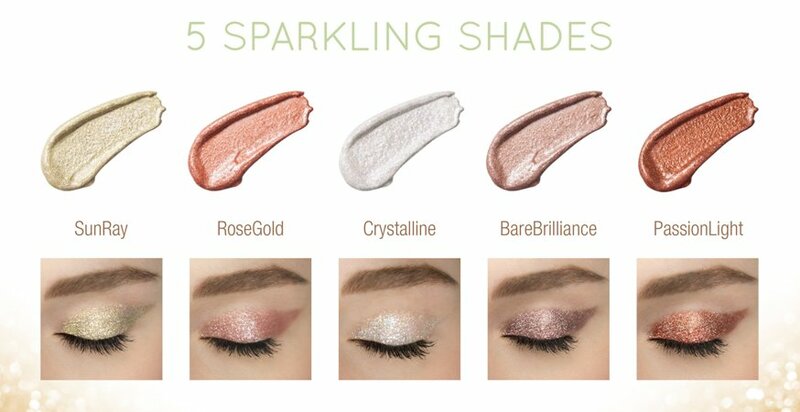 Pixi introduced these gorgeous, subtle glimmer shadows and we are obsessing over them! Available in 5 classic metallic shades – PassionLight, BareBrilliance, RoseGold, SunRay, Crystalline – these liquid glimmer eye shadows give enough of an ethreal shine to liven up any look without being too OTT. Formulated with chamomile and rose extracts, these liquid eye shadows are soothing and hydrating enough to be used on sensitive eyes too.